Well, the temps here in Reno over the weekend are supposed to edge into the low 90s. I think summer is finally upon us at last. During the summer I prefer to eat on the lighter side – dishes that are healthy, full of fresh veggies and aren’t too heavy. I like to make a lot of stir frys and, since I don’t own a wok, my cast iron skillet does the trick beautifully as it heats quickly and evenly. 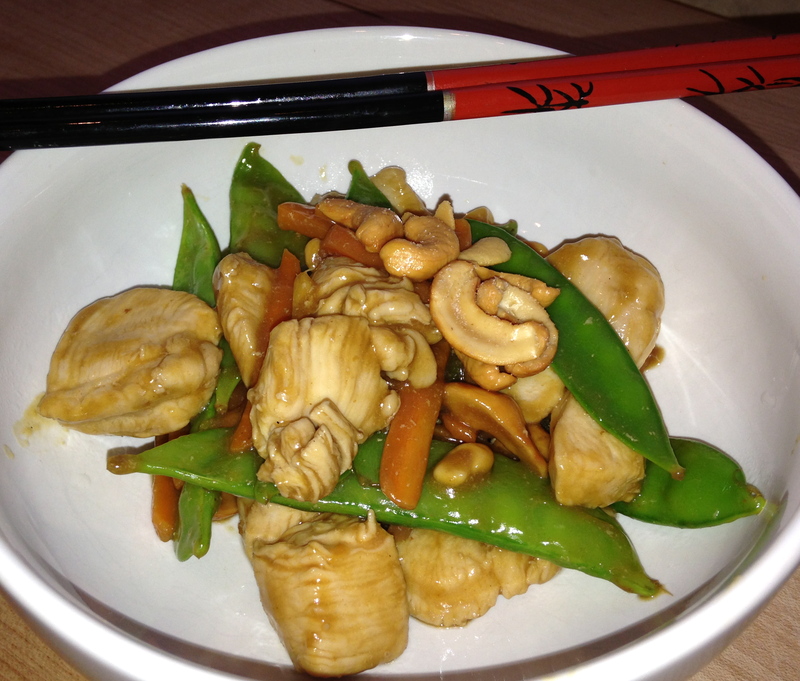 One of my favorite Chinese dishes that I order out all of the time is cashew chicken. Ironically, I never made it home. It seemed to be that special dish only for the restaurant. But no more! 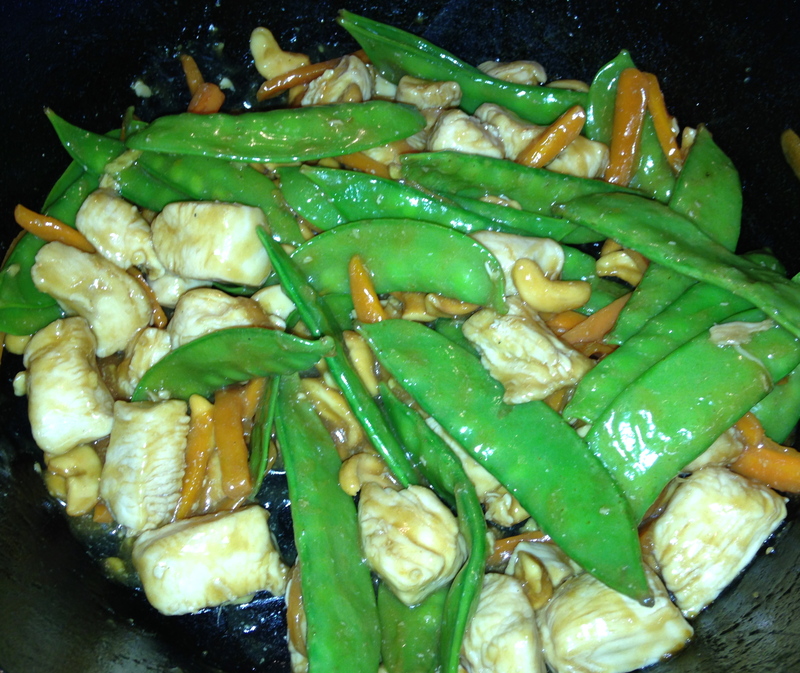 I found a nice recipe online that includes a lot of my favorite ingredients – ginger, hoisin sauce, rice vinegar, sesame oil, snow peas, and of course, cashews. Give this light and simple dish a try. You won’t be sweating over the stove and dinner will be ready in no time – so you can get on with summer fun! 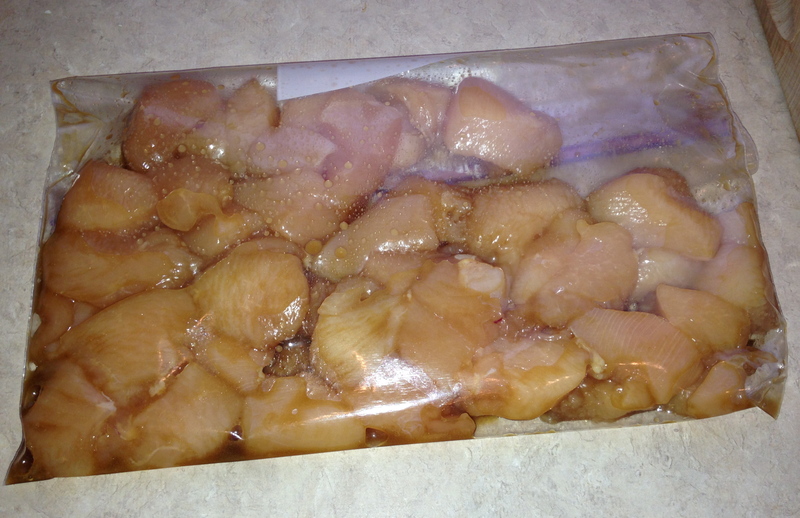 In a large resealable plastic bag, combine 2 Tbsps. soy sauce, 1 Tbsp. 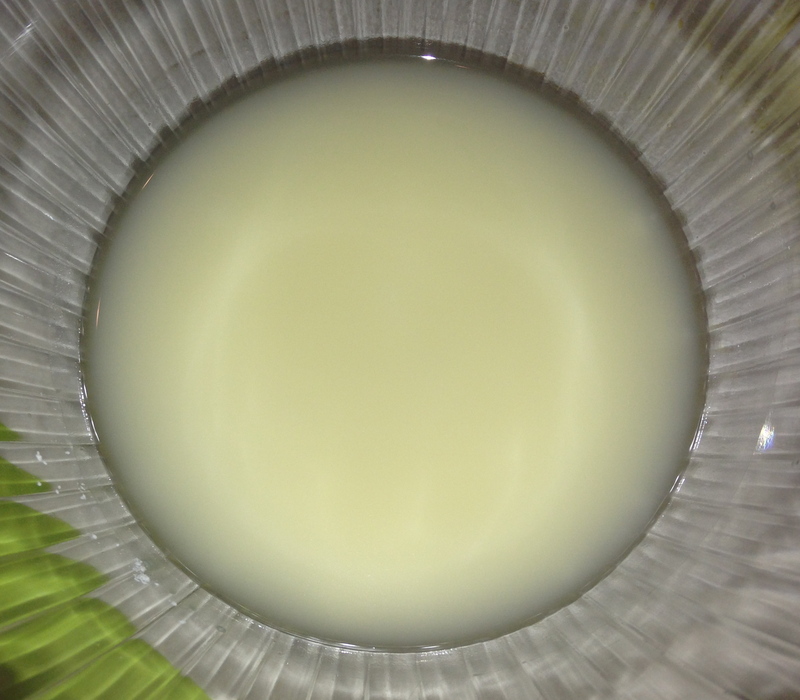 chicken broth, and 1/2 tsp. 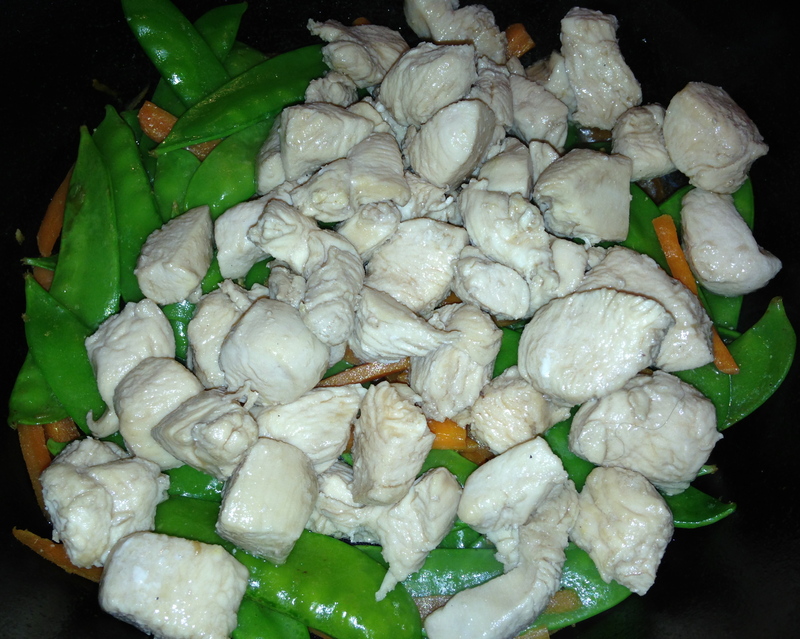 sesame oil; add the chicken. Seal bag and turn to coat. Refrigerate for 30 minutes. 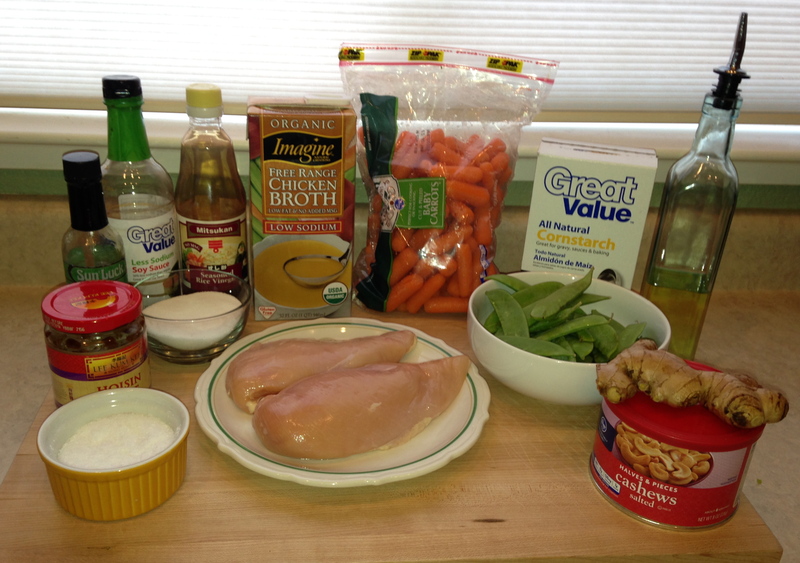 In a small bowl, combine cornstarch and 1/3 cup chicken broth until smooth. 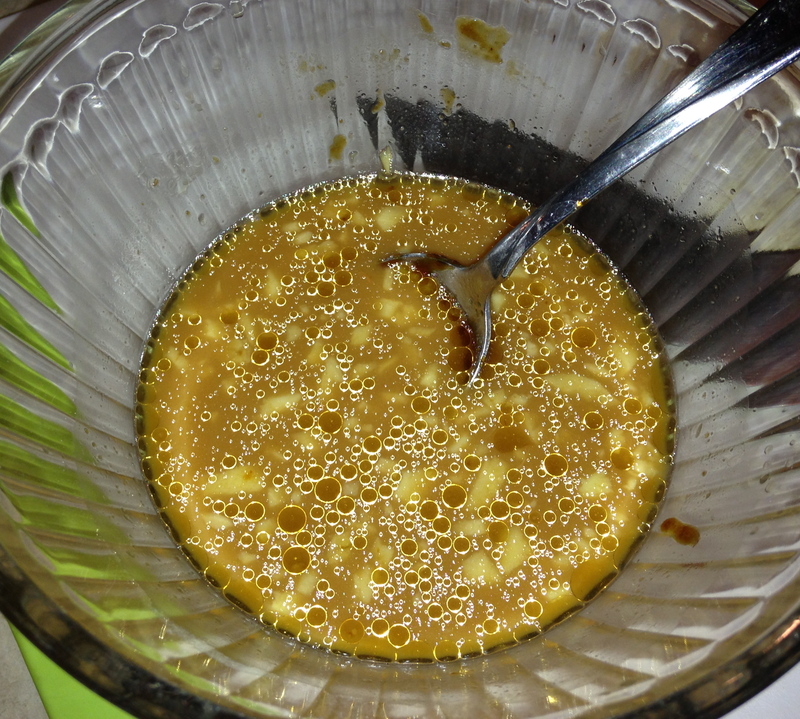 Stir in the sugar, vinegar, hoisin sauce, ginger, salt and remaining soy sauce and sesame oil. Set aside. 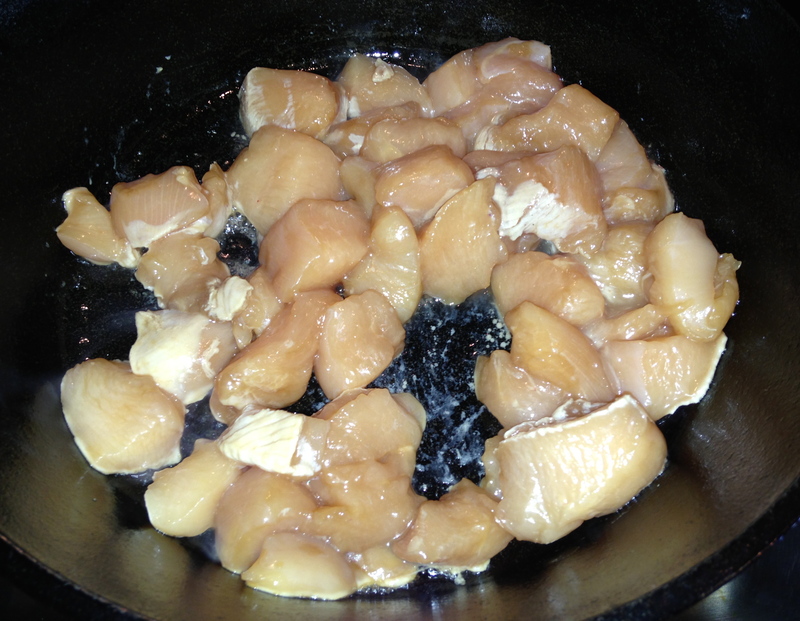 Drain chicken and discard marinade. Heat oil in cast iron skillet. Add the chicken. 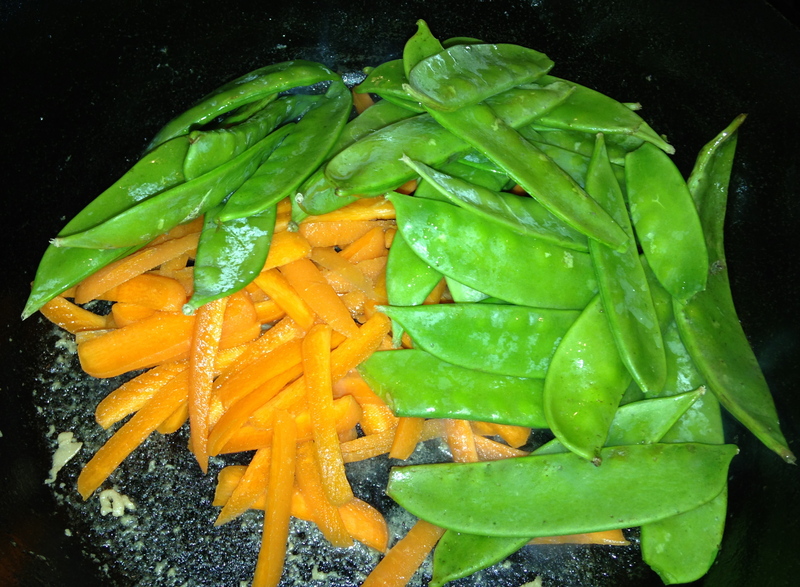 Stir fry until no longer pink. Remove to a plate. 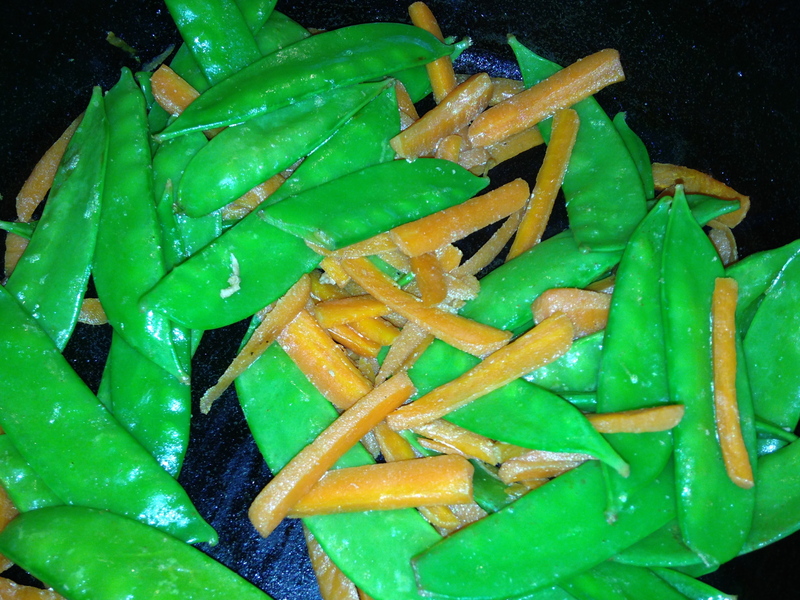 In the same skillet, add the carrots and snow peas. 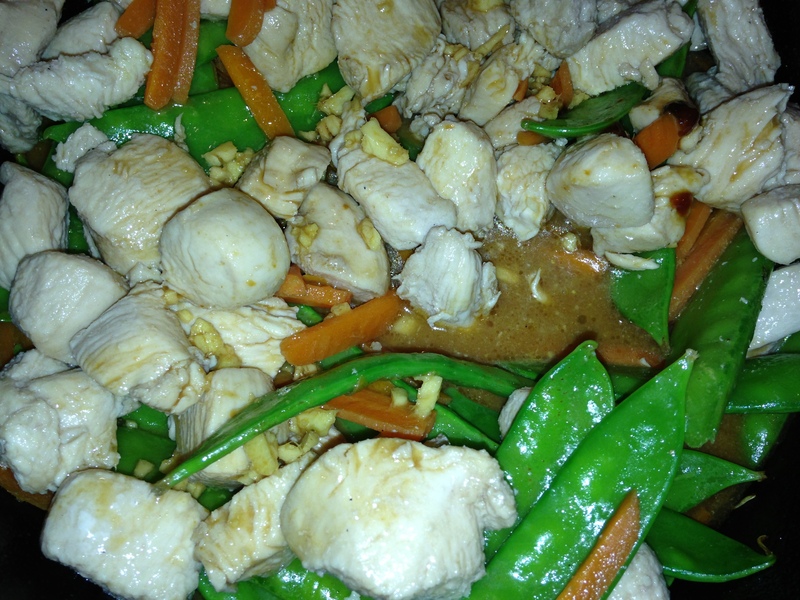 Stir sauce mixture and stir into chicken mixture. Bring to a boil. Cook and stir for about a minute or until thickened. Serve with or without cooked rice. Enjoy!